Everything Beauty and Beyond! : May's Spotlight of The Month! May's Spotlight of The Month! I recently went to Winners on the weekend in order to look for a dress for a charity event I was invited to. However after looking for an hour and not finding any dress, I decided to hit the beauty section and see what they had. Upon walking through the bath and body section, I saw this beautiful body scrub jar. There were three more of its kind in different scents. What I loved about this jar was the packaging and design. It really reminded me of Old Hollywood! After reading the back of the jar, I realized that this was a salt and sugar scrub mixed all into one with a beautiful scent. It was on sale for $12 CDN when it normally retails for $22 US! SOLD! I went home and googled the brand as I realized that I had NEVER heard of this company. They are an Australian company who believe in putting mostly natural ingredients in their products. They reminded me of the American based company Sabon who are in the same type of business with more or less the same business philosophy. If you search their website you realize that they make bath and body products plus some lip products as well. They are currently not selling their products online, but you can find them in certain stores. I realized that in Canada the only place that sold them was Winners. My favorite time of the day is bath time! I shower twice a day! I need to smell clean and fresh everyday all day long! However by the time I came home and went to bed, I decided to use the body scrub in the morning in order to see how the scent lasted throughout the day. As soon as morning broke I was in the shower. I first washed my face and hair and then grab this scrub. When I opened it up, I realized that all the oils were at the top and the sugar and salt were at the bottom and needed to be mixed. I tried mixing it with my fingers but it was really hard and needed to be broken up in order to mix with the oils. Nonetheless after a few seconds, the salt and sugar loosened and I was able to mix the whole jar. I grabbed a small handful and scrubbed my whole body down with it. I love the scent that was coming from the scrub. The scrub felt so soft and smooth on my skin and the oils were very luxurious yet not to slippery. My whole body really felt nice and soft. After I got out the shower, I didn't apply cream in order to see how well the oils in the scrub hydrated my skin. I pat dried myself and got dress. I was able to smell this scrub on me for a good two to three hours afterwards. As the day went on, I noticed that my skin felt nice but cream would of made it felt better. 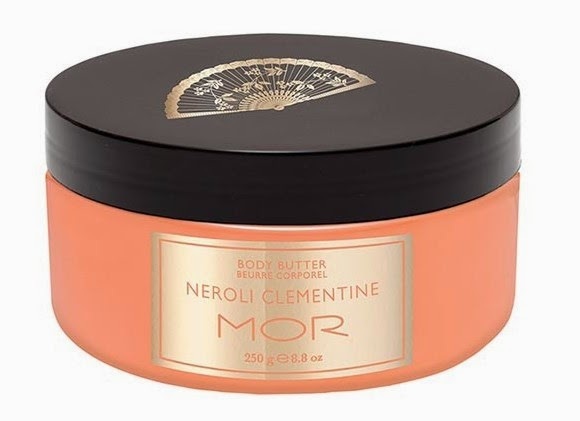 This scrub also comes with a body butter cream in the same scent which I plan to pick up on my next visit to Winners. 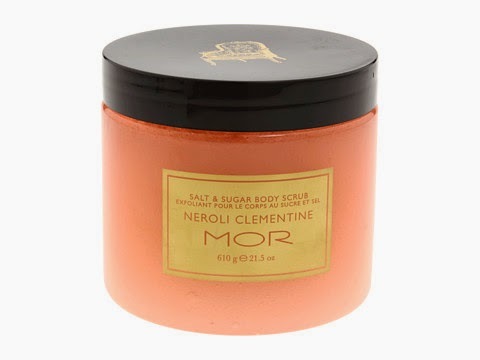 This body scrub is amazing and worth trying out. It comes in many other scents to suit just about every nose. Nothing like finding hidden gems at Winners!